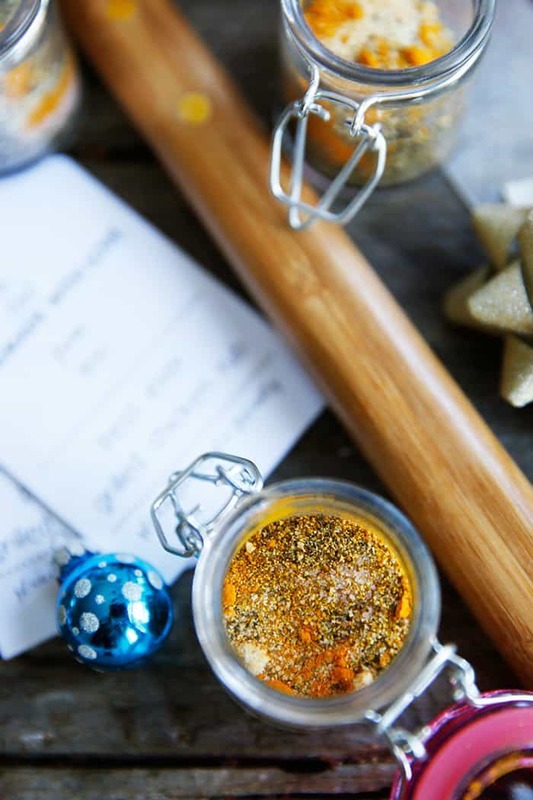 This DIY Best Ever Chicken Rub is the perfect gift to throw together for the griller in your family! Make a small or large batch, place the mix in a cute jar, and add it to a basket with BBQ tools for an awesome holiday gift this season! DIY Gift Week Day 2! Yesterday I shared the Espresso Candied Pecans, and today is the Best Ever Grilled Chicken rub from my cookbook! It is a staple. In fact, it’s the only grilled chicken I make! It’s flavorful and delicious. You can easily make a big batch and send it along with some grilling gear to the grill master in the family. I know I’d like that gift! 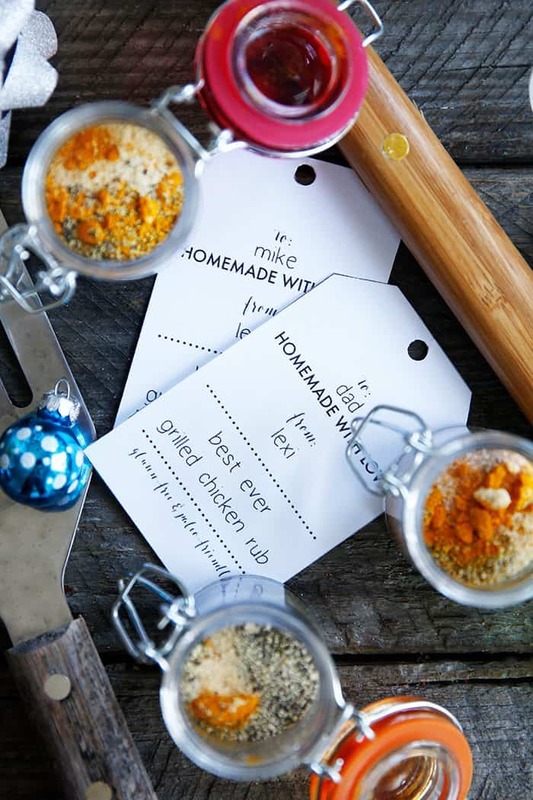 Throw together a little basket with the spice mix, these grilling tools, and maybe even a gift card to the local market or his/her favorite butcher! 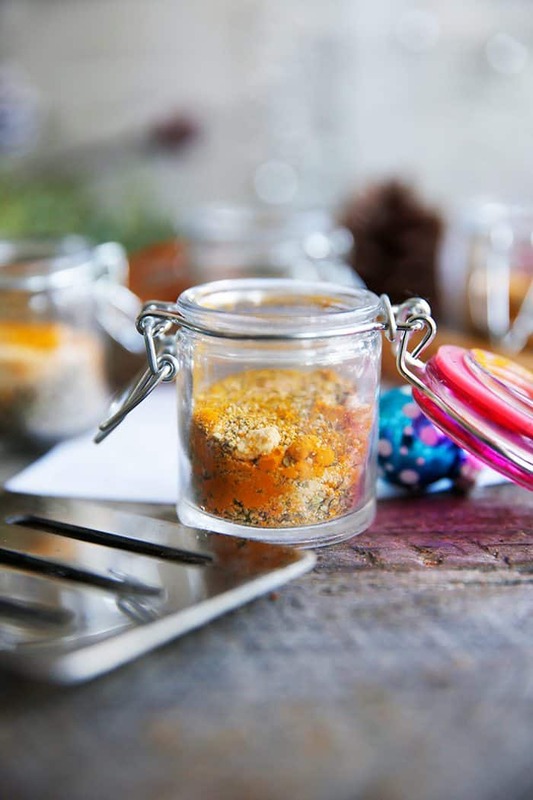 Place all spices into your jar. 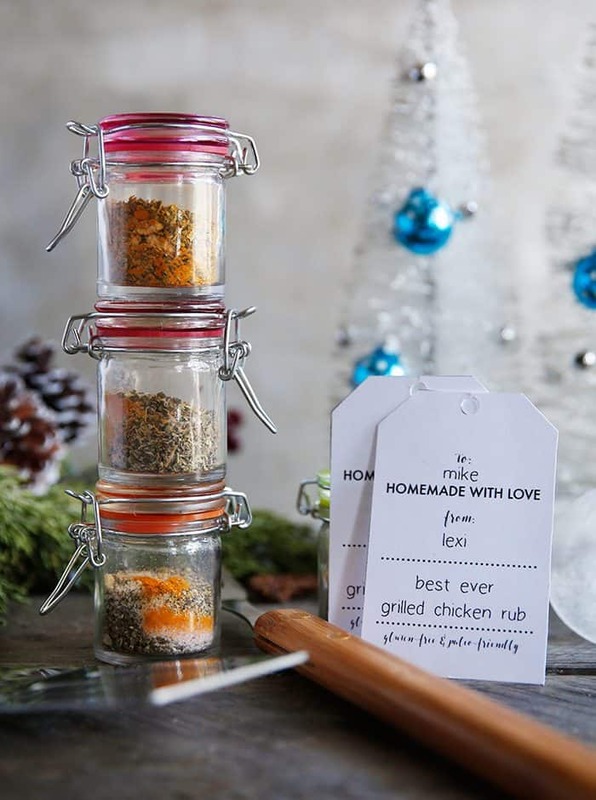 Download your printable spice rub labels HERE. Sorry, is the recipe missing from this page? I’d love to make this! Bringing back delicious cravings from when I had one of these from Brasserie bread last week….